ABHCM is an association of faith-based ministries founded in 1930 to strengthen relationships and promote a standard of excellence in ministries of caring. HealthSET has been Serving and Empowering the low-income elderly in the Denver metro area through nursing, education, and advocacy to Transform the quality of their lives for over 26 years. 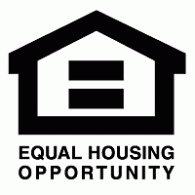 Housing Colorado is an industry resource for all aspects of affordable housing, including professional advocacy, issue expertise, and networking opportunities. Each year, Jefferson Center for Mental Health makes a difference in the lives of thousands of community members struggling with mental health disorders. Jefferson Center has long recognized the connection between mind and body and the importance of treating behavioral and physical health care. Our therapists work with primary care doctors to provide care for the whole person. Here are some additional ways we are supporting our community each day! Mental Health First Aid, Suicide Prevention, Bridges of Understanding, Speakers Bureau, and Office of Healthcare Transformation. To expand the world of possibilities for aging, LeadingAge members and affiliates touch the lives of millions of individuals, families, employees and volunteers every day. Legacy HCS is dedicated to providing top quality contract therapy to all of our clients. Welcome to Metropolitan State University of Denver! As Colorado’s preeminent urban university, we’ve been transforming the lives of students for 50 years. Throughout our history, we’ve been known as a gateway to opportunity through broad access, quality academics and education relevant to the Colorado economy. Today, we have more than 20,000 students, whose diversity mirrors the ethnic demographics of our state. With 37 percent students of color, we are proud to have the most diverse student body of Colorado’s four-year universities. And we are also proud that the large majority of our 85,000 alumni stay at home, fueling the economic and cultural vitality of our great state. At MSU Denver, we know that education is not a one-size-fits-all endeavor, which is why we offer students a variety of academic programs. They can choose from 244 degree options, 60 majors, 87 minors, 30 certificates and 33 licensures. And we’re always evaluating our programs to see where we can refine and expand. Senior Reach is a community program that identifies older adults who may need emotional or physical support and/or connection to community services. It’s a simple way to help older adults get assistance before a serious crisis develops. The program has proven clinical results for older adults in urban, suburban and rural areas and promotes inter-agency cooperation and collaboration. In addition to meeting the needs of seniors, this program provides a path to educate community members. The University of Denver delivers a rigorous and rewarding experience for students through a holistic approach to education that transforms students into leaders. Through learning, scholarship and practice, students gain the experience, knowledge and courage they need to tackle big challenges in the real world and guide diverse communities and organizations. Eaton Senior Communities is a member of West Metro Chamber. This organization provides business connections, advocates for local businesses with government and educates business owners.